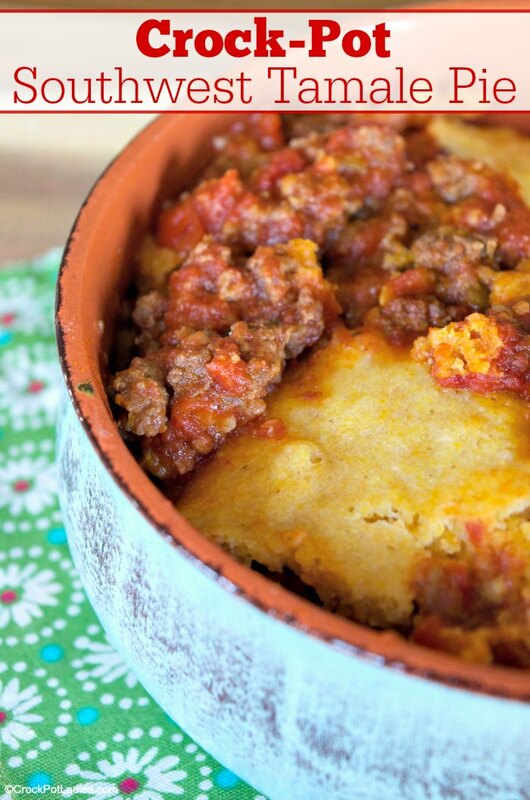 Enjoy this recipe for Crock-Pot Southwest Tamale Pie and have a fiesta! 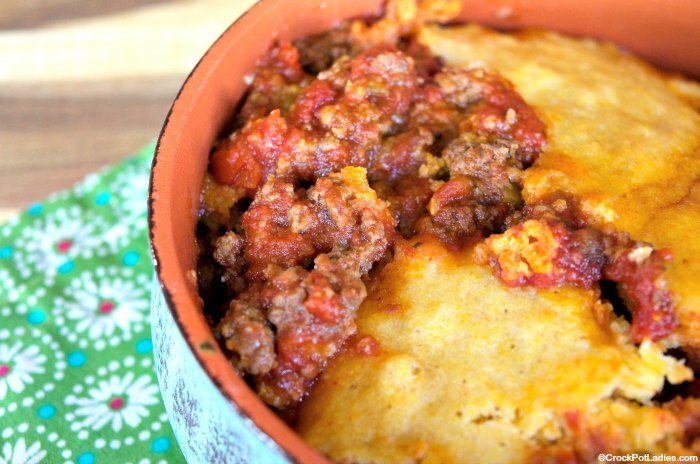 Created with ground beef and pantry staples like canned tomatoes & cornbread mix! This is an interesting dish that I sort of came up with one day as I was rooting around in the freezer and pantry and trying to come up with something to feed the family without needing to make a grocery store run. I started off with a package of ground beef that I had purchased when it was on sale for $1.79 a pound. I bought several pounds and browned it all up in my big electric skillet. When all the meat was cooked and crumbled I tossed it into freezer bags and throw them in the freezer. So out came a bag of already cooked hamburger. Easy! Then some onion, diced green chilies, and tomatoes. I seasoned up the ground beef with some cumin (LOVE me some cumin), garlic and dried oregano. If you can find Mexican oregano in your grocery store…use that. It has a different taste over the Italian oregano and I love it. In our grocery store is is found in the Latin American section of the grocery store in little bags that cost right around a dollar. So very economical too. Then, I went with a box of corn bread mix…just plain old Jiffy brand corn bread mix…these go on sale for about 50¢ a box all the time where I live so I usually buy 10 or 20 at a time and keep them stashed away. Cornbread is always a favorite for my family, or I turn them in to blueberry cornbread muffins or even hoe cakes for breakfast drizzled with honey…oh my. You just make the cornbread according to the recipe on the box. Easy. And if you want to make homemade cornbread…by all means folks…do whatever floats your boat. Sometimes I make cornbread from scratch too..and sometimes I use a box. It depends on my mood and what kind of time I have. As the mother of 5 kids…some-days this mamma is too busy for homemade. Pour than cornbread on top of your seasoned meat mixture and let it cook away in your slow cooker for a good 4 – 6 hours. Cheese, sour cream, salsa…it is all good on top of this tamale bake. Or eat it plain..it is good just the way it is too! In a 6 quart or larger slow cooker combine browned ground beef, diced onion, green chilies, tomatoes, garlic, oregano, and cumin. Spread evenly over bottom of crock-pot. Pour prepared corn bread batter over meat mixture and spread evenly. 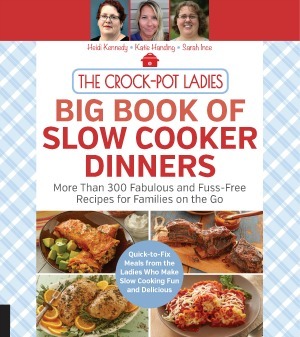 Cover crock-pot and cook for 6 hours on low or 4 hours on high. You may wish to top finished tamale pie with grated cheese (cheddar or jack) and some diced avocado. Serve with beans and Mexican rice for a delicious meal! *I used Jiffy brand corn bread mix. Tamale pie!!!! Yes please. I love tamales almost as much as my mom does. She is coming to visit for the holidays, so I will surely try this recipe out for her!!! I love your site and you have great recipes. Hi, I know this might read odd, but I am British and I have no idea what Cornmeal bread batter is or how to make it. ?? Can you explain it to me what it is and have you a recipe for it. ?? Or can I just use mashed potato instead. ? Hi Jackie, the recipe calls for crornbread mix which is a boxed mix to make cornbread. Here is a good copycat recipe to make your own Copycat Jiffy Cornbread Mix. 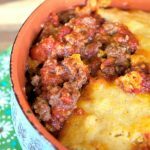 While this recipe has not been tested using mashed potatoes on top instead of the cornbread mix I think it might work and result in a Mexican inspired shepherds pie type dish.